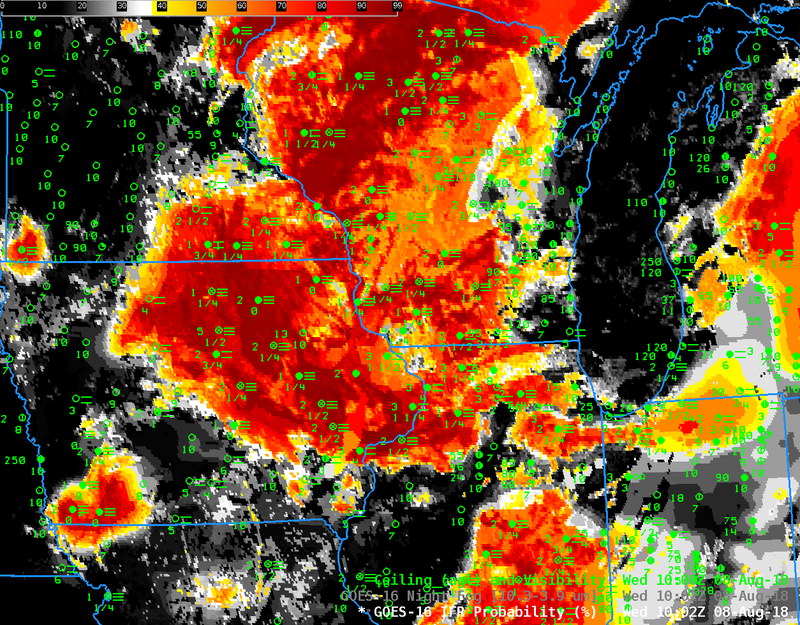 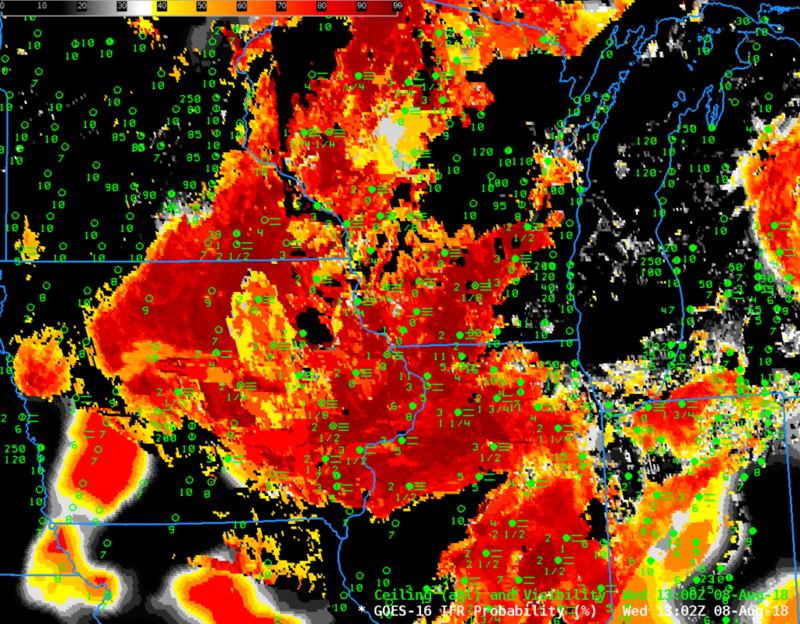 GOES-16 IFR Probability incorporates information about low-level saturation from the Rapid Refresh Model. 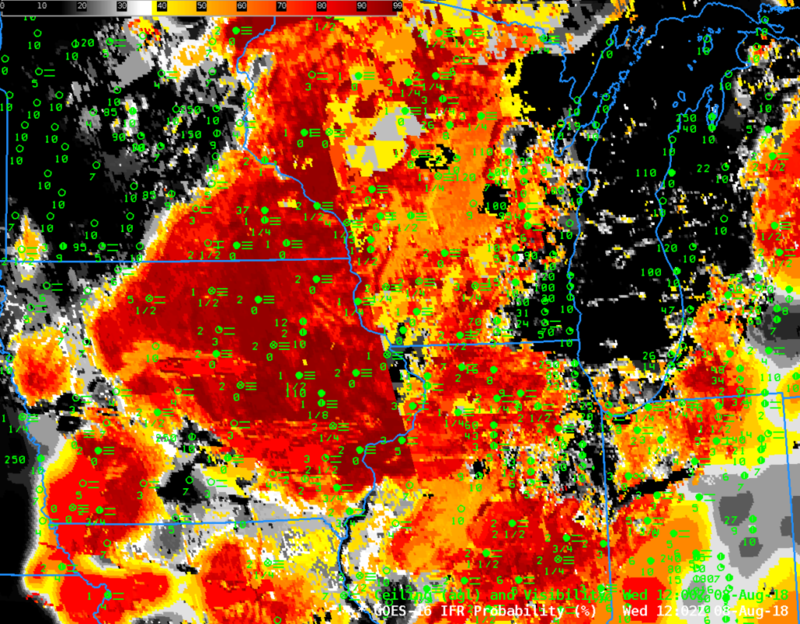 The model data used changes hourly, and that can cause an hourly change, a pulsing, in the IFR Probability animation in cases when the forecast model evolution is changing. 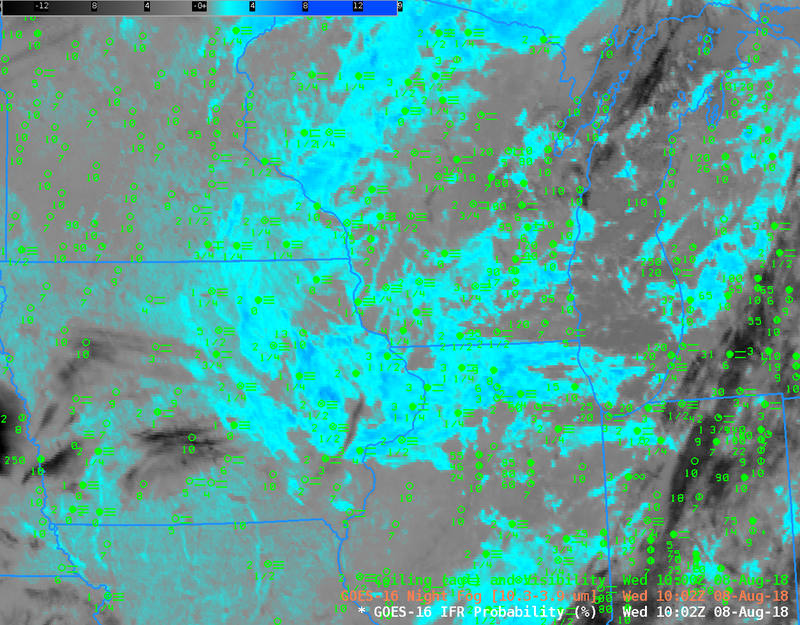 In this case, visible imagery at sunrise (enhanced because of the low light) suggests the IFR Probability field is overpredicting the extent of River Fog in southwest Wisconsin. 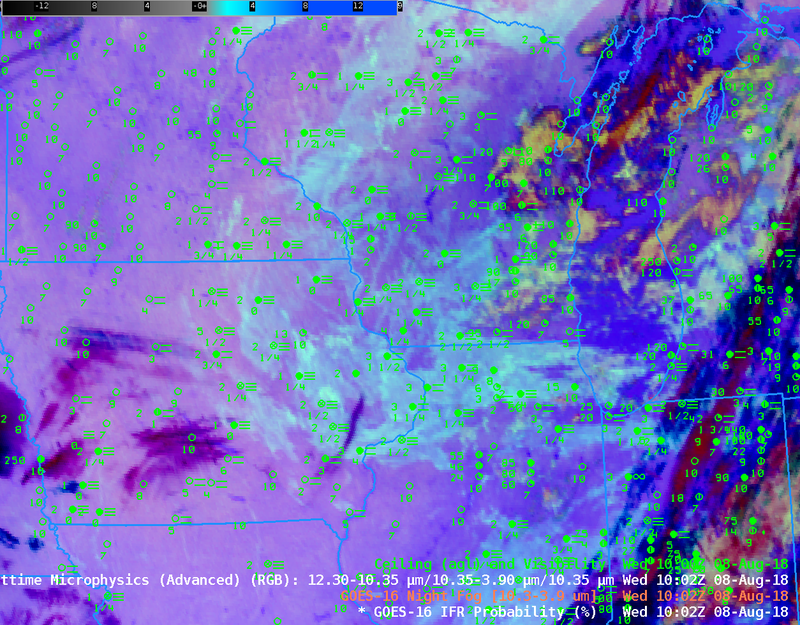 Note, however, that the highest IFR Probabilities do align with river valleys where fog is observed. 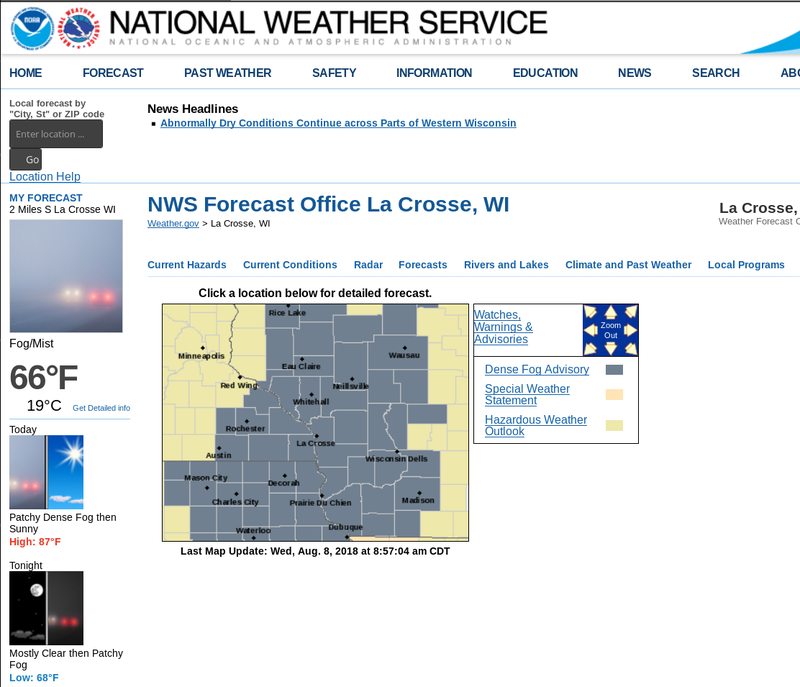 This entry was posted in Wisconsin on August 30, 2018 by Scott Lindstrom.